A casement fastener is fitted to the side rail of a window and is used in the same way as a handle, to open and close the window. Available in many designs and finishes, locking or unlocking, it is possible to get casement fasteners in all manner of variations but their purpose is the same; to provide a way of opening and closing a window. The structure of the window and frame will play a part in determining what type of casement fastener you require. Casement fasteners are available with different styles of receiver plates including hook plate, mortice plate and a wedge plate. 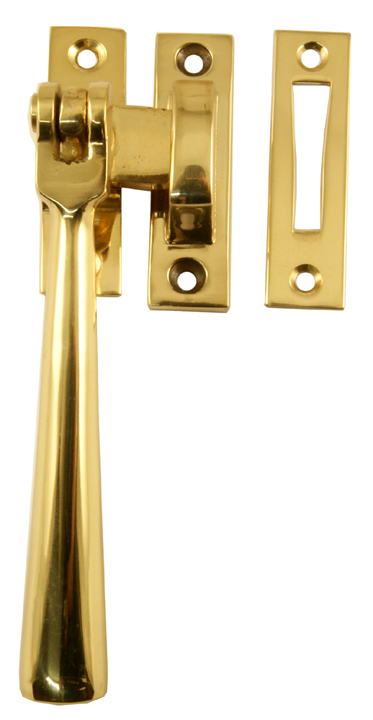 A casement fastener with a hook plate is suitable for use where the window and frame are flush fitting. 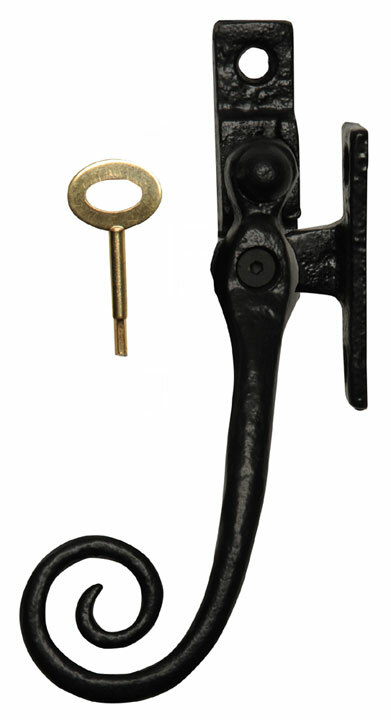 The hook plate is fitted to the frame adjacent to the fastener and the fastener arm locates into the hook when the window is in the closed position. The arm can be rotated out of the hook plate when the window needs to be opened. A mortice plate is a rectangular shaped flat plate with a section cut out of the middle. This type of plate is used with a casement fastener on windows where the window and the frame are not flush. The mortice plate is fixed to the frame sideways to the fastener and a section of the wood behind the cut out is morticed out to allow the head of the fastener to pivot through the slot and locate into the gap behind. Thus securing the window. A wedge plate casement fastener is also used where the window and the frame are not flush. The wedge plate is fitted to the frame in a sideways position to the fastener and locates under the arm of the fastener when the window is in the closed position. The casement fastener is rotated away from the wedge freeing the window to open. 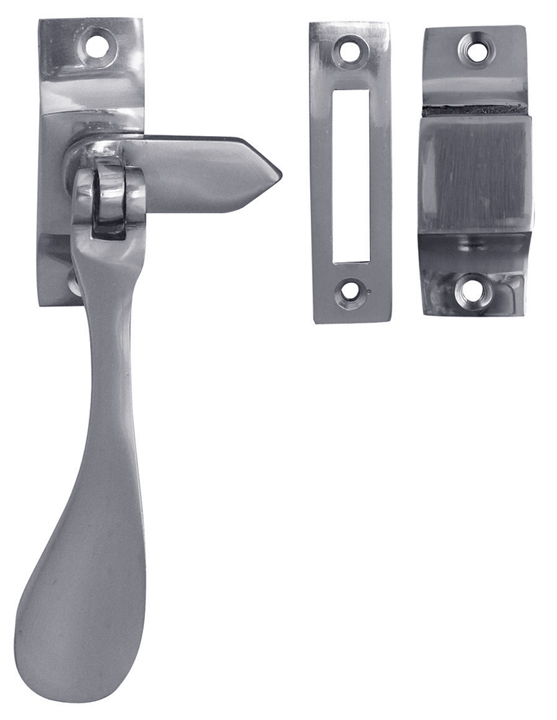 These are the three main types of casement fasteners available, all are available on the following page https://www.doorfurnituredirect.co.uk/window-fittings/window-furniture/casement-stays-fasteners.html. Within these types there are also variations. Some casement fasteners can be handed depending on what side of the window they are to be fitted. Occasionally casement fasteners are available with a night vent option, allowing the window to remain secure but be partially open to allow for ventilation. Also some casement fasteners have a lockable option, either by the use of a key or a hexagon key that is used to tighten a grub screw stopping the casement fastener handle from rotating.